BC08-T1OC-B - Buddy Club Racing Spec Oil Cap - Pann Auto Performance - San Diego largest aftermarket automotive performance parts - What do you drive? 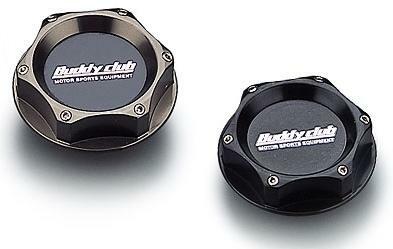 The Buddy Club Racing Spec Oil Cap is a quality piece helps address attention to detail in the engine bay. The Buddy Club Racing Spec Oil Cap strikes a perfect balance between form vs. function.